As soon as you publish this change the Field Level Security restriction will be applied to all users except those assigned the Systems Administrator security role. The field is instantly read only and non-editable for your users. Your next step is to configure CRM’s Field Level Security model to grant permissions out to your users. 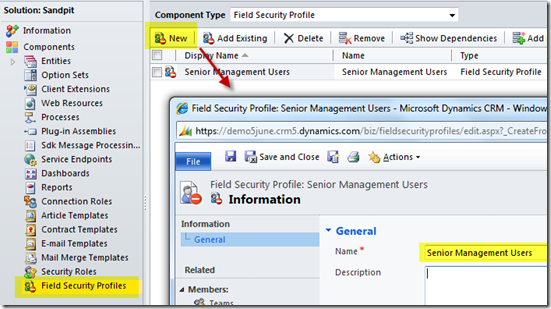 Each secured field will automatically appear in the list, with Create, Read, and Update access all initially set to “No”. 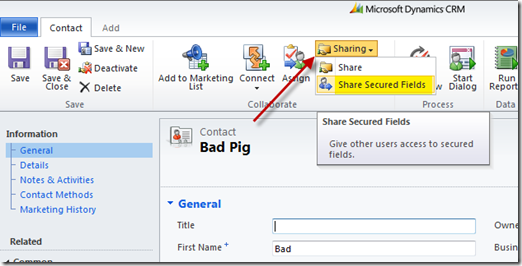 The Sharing feature we are used to from CRM 4.0 has been extended in CRM 2011 to support the Sharing of Field Level Permissions. 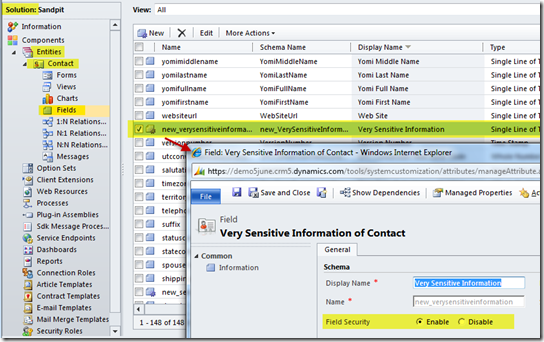 A user who has been assigned a Field Security Profile granting them permission to a secured field can potentially share that Field Level Permission to another user (or Team) who currently does not have access to that secured field. The rest is pretty simple, just like normal sharing (although a bit ‘clicky’). This entry was posted in Uncategorized and tagged 2011, crm, field level security, sharing on May 11, 2011 by Gareth Tucker. Each enabled field will automatically appear under each profile. This entry was posted in Uncategorized and tagged 2011, crm, field level security on November 4, 2010 by Gareth Tucker.